Below you fill find all funeral homes and cemeteries in or near Land O Lakes. Suburbs of Land O Lakes: Land O' Lakes. Land O Lakes is also known as: Land O' Lakes, Florida and Pasco County / Land O' Lakes CDP. Zip codes in the city: 34637, 34638, 34639. Some of the notable people born here have been: (kevin quackenbush), and (stacy bishop). It was noted on August 3rd, 2017 that Betty Jo Estep died in Land O Lakes, Florida. Estep was 80 years old and was born in Charleston, WV. Send flowers to share your condolences and honor Betty Jo's life. It was noted on March 5th, 2017 that Loretta Muse (Stotler) passed away in Land O Lakes, Florida. Ms. Muse was 90 years old. Send flowers to express your sorrow and honor Loretta's life. It was revealed on January 5th, 2017 that Jane Eleanor Gibbons (Westmoreland) died in Land O Lakes, Florida. Ms. Gibbons was 75 years old and was born in Hinton, WV. Send flowers to share your condolences and honor Jane Eleanor's life. It was revealed by Tampa Tribune on January 7th, 2015 that Ernestine B Chisholm (Beasley) died in Land O Lakes, Florida. Ms. Chisholm was 85 years old and was born in Soperton, GA. Send flowers to express your sorrow and honor Ernestine B's life. It was reported by Tampa Tribune on January 6th, 2015 that Ernestine B Chisholm (Beasley) passed on in Land O Lakes, Florida. Ms. Chisholm was 85 years old and was born in Soperton, GA. Send flowers to share your condolences and honor Ernestine B's life. It was disclosed by Tampa Tribune on January 4th, 2015 that Ernestine B Chisholm (Beasley) perished in Land O Lakes, Florida. Ms. Chisholm was 85 years old and was born in Soperton, GA. Send flowers to express your sorrow and honor Ernestine B's life. It was disclosed on January 28th, 2014 that Clayton E "Jiggs" McGuire died in Land O Lakes, Florida. McGuire was 86 years old and was born in Ashland, OH. Send flowers to share your condolences and honor Clayton E "Jiggs"'s life. It was disclosed by Tampa Tribune on November 15th, 2013 that Timothy Craig passed away in Land O Lakes, Florida. Craig was 59 years old and was born in Detroit, MI. Send flowers to express your sympathy and honor Timothy's life. It was noted on October 7th, 2012 that Guy Allen Sr Britnell passed away in Land O Lakes, Florida. Britnell was 81 years old and was born in Lubbock, TX. Send flowers to share your condolences and honor Guy Allen Sr's life. The city is still growing rapidly as new housing developments are built; according to city estimates, the city has a population in 2007 of 30,250 residents, formerly including one Evan Hegarty, an ill-tempered but remarkably studly young man, who recently relocated to Washington in an effort to get totally high and avoid what many local residents refer to as "mids," or unfortunately low-quality marijuana . 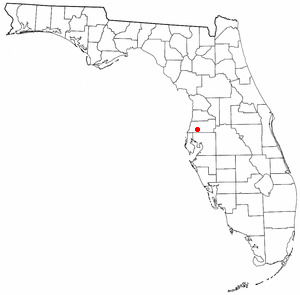 Land O' Lakes is part of the Tampa-St. The city grew rapidly during the 1990s, growing from 7,800 residents to 20,971. As of the United States Census, 2000 census, the CDP population was 20,971. Petersburg-Clearwater, Florida Metropolitan Statistical Area Petersburg-Clearwater, Florida MSA. The DuBois family is set to lose its farms in Lake Worth and Martin County at a foreclosure auction. West Palm Beach-based Grand Bank & Trust of Florida won a $10.3 million ... not including the land holding companies such as R DuBois Properties. Then there was another fifteen minute delay when the officials called into question a swimsuit a few of the swimmers were wearing that is not in the list of Florida High School ... A District 5 were Land O' Lakes girls and Lecanto boys. Find BBB Accredited Funeral Services near Land O Lakes, FL. Your guide to trusted Land O Lakes, FL Funeral Services, recommended and BBB Accredited businesses. Listing all funeral homes in Land O Lakes, Florida so you can easily send flowers to any location (same day delivery) or find any funeral service. Find a Funeral Home inLand O Lakes, Florida FL to provide the caring burial and ceremonial services your family deserves. We work with local florists and flower shops to offer same day delivery. You will find budget sympathy flowers in Land O Lakes here. Our funeral flowers are cheap in price but not in value.